About 0.5 percent of the global population -- are descendants of GENGHIS KHAN! (read) - Many more are descendants of Mongol soldiers, who now are ancestors of many people in countries that became communist. 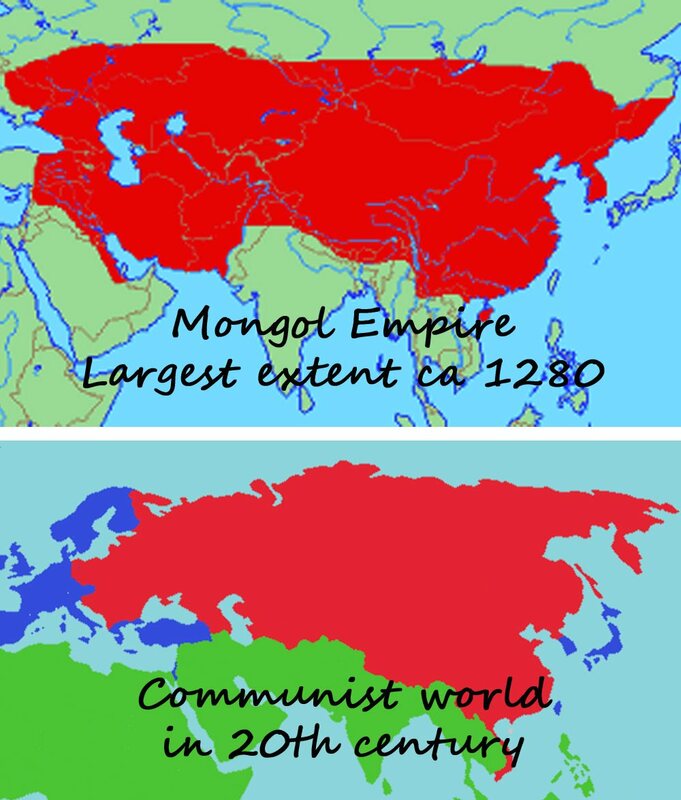 1os of millions have been killed in genocides caused by communist rule and also by conquests by the Mongol Empire. This seems to be a very interesting comparison. Both empires are about dictatorships and spiritual darkness! Russia = the morden Mongol Empire. Lenin has Kalmyk Mongol blood,even few Russian tsars were Mongols,like tsar Boris Godunov is one of the direct descendants of Genghis Khan.Ivan the Terrible's mother is the also a direct descendants of Genghis Khan.